You must make reservations at least 5 minutes in advance of the time at JW Marriott San Antonio - 18 Oaks. We offer 2 private dining rooms: The Vintners room which can accommodate up to 16 and The Main Private Room which can accommodate up to 80. We also have the Wine Bar which can hold up to 30 guests. Full restaurant buyouts are available with Food and Beverage minimums. 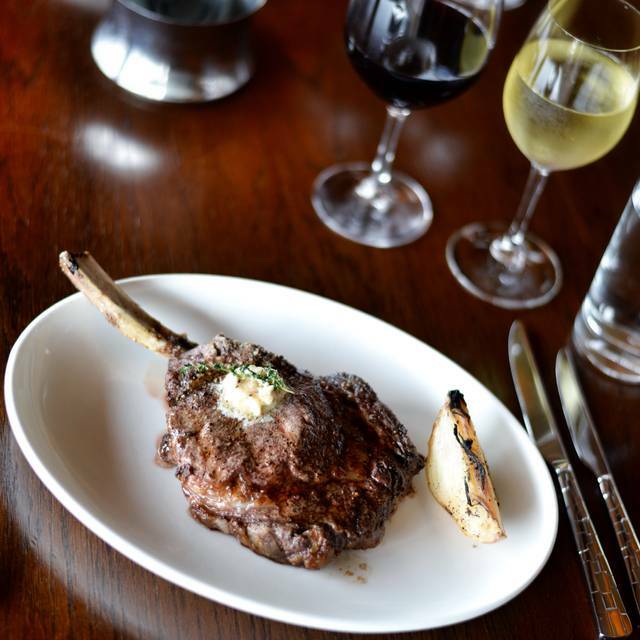 18 Oaks focuses on outstanding quality of meats and seafood prepared with style and expertise. 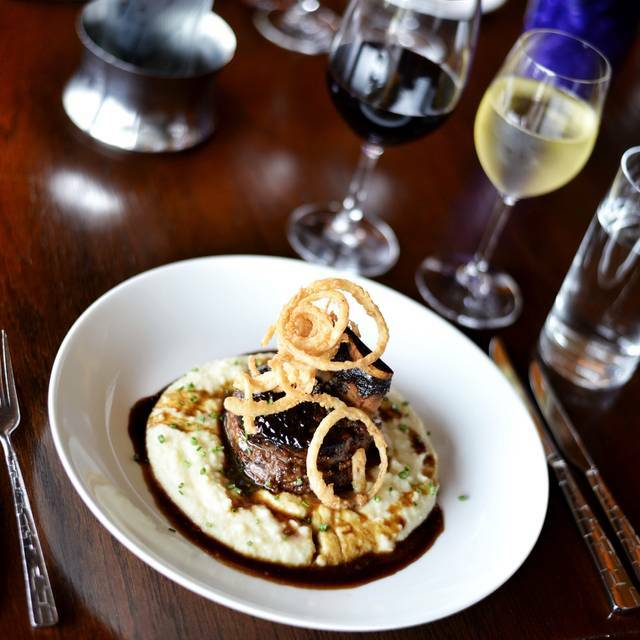 Food is masterfully prepared showing a sensibility of season leveraging the best products in Texas. The Menu gracefully flows from a modern breakfast to a lunch menu of American flair with a splattering of steakhouse favorites to a classic steakhouse in the evenings. Entrees feature skillfully prepared premium steaks and seafood with your choice of sauces...located within the majestic grounds of the JW Marriott San Antonio Hill Country Resort and Spa. 18 Oaks not only is the center of activity in the TPC San Antonio Club House, but we represent the highest level of commitment to locally produced, organic ingredients in the area, leveraging the strong relationships developed with local farmers, ranchers, winemakers and brewers. The design is a delicate balance of warm tones and cool textures that reflect a lively, refined and inviting space. The food and drinks are delicious. I stayed in the resort and I am usually not impressed with buffets. This was a really good Easter brunch buffet. I truly recommend it! A good option if staying at the resort. Kitchen seemed backed up when we went but server was friendly and food was tasty. Great dinner!! The steaks are amazing. Service was great. The food and ambiance were wonderful. The server was a little rude. Love it, once again. Some great, creative Texas inspired menu options. Friendly, attentive service. Every time we stay at this resort, dinner at 18 Oaks is a must!! The food is excellent and the service is exceptional. I would recommend to anyone staying on or off the property. 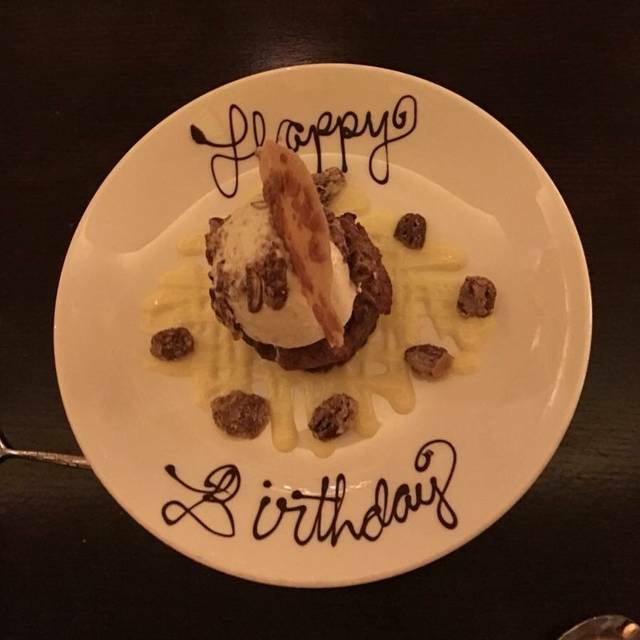 Impeccable service, and incredible food. We enjoyed a Sunday brunch that featured a delicious array of choices. Highly recommend if you want to really relax and enjoy your Sunday! My wife and I treated out of town visitors to brunch at 18 Oaks. As in the past, the food was excellent and the overall experience was very good. Unfortunately, the service did not match our previous visits. 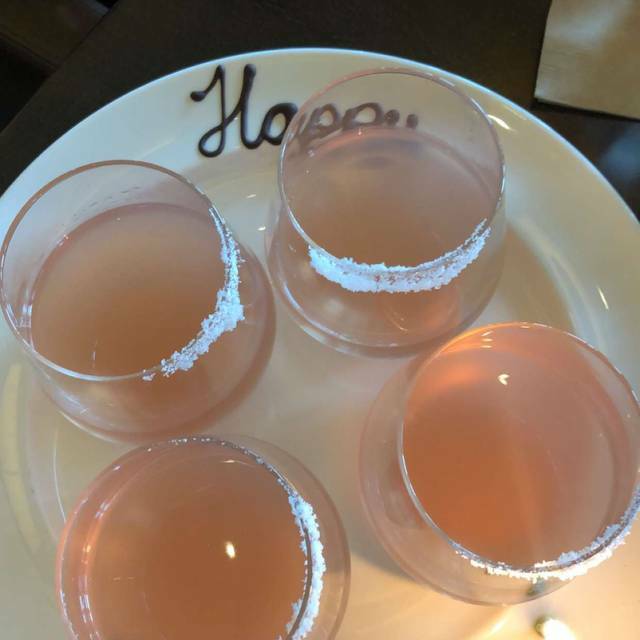 Our waiter was often MIA, and we had to ask several times for refills of coffee and mimosas. This was disappointing, as the server at the table adjacent to ours (which was quite a large party) seemed to be constantly at the table, refilling drinks and clearing plates. Additionally, we were seated at the rear of the room, and could not hear the musicial accompaniment provided. Our server was timely and very nice. 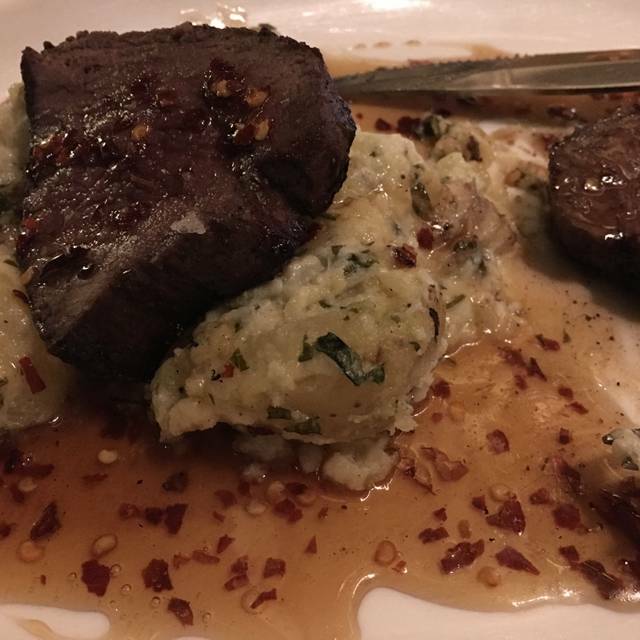 The filet was delicious, perfectly cooked. It was a tad loud but that's understandable as it was peak dinner time. The chairs at our table were so comfortable. Overall experience was fantastic, definitely will be returning. We are locals, and did not expect to have the meal we did. We were both impressed with the menu and specials. I had an Axis Venison loin over asparagus puree, and my wife enjoyed a bone-in Wagyu ribeye. The duck fat fried Brussels sprouts were fantastic. We had an amazing meal. The food was wonderful and the service was great. If we were local we would be back on a regular basis. The hubs has been to a lot of high end steakhouses and he thought this was right up there. 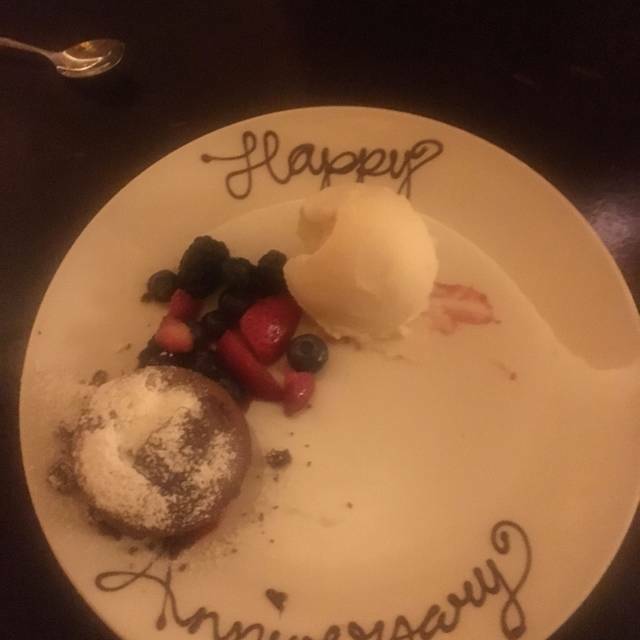 The steaks were excellent, the side vegetables were ok, but the desserts were disappointing almost to the point of aversion. Everyone in our group enjoyed the appetizers and main meal, and were put off the desserts. I had the bread pudding, which should be made of french-toasted bread chunks with butter and cinnamon, not a blob of dry sweet croutons that looked to have been served with an ice cream scoop. Blech! This is a fantastic value for the price. The food selection and quality was exemplary. Great place to meet friends -- large groups or small. I'll be back! Well, here is what this restaurant is good for: families with kids that want a higher-priced steak oriented eatery. It was loud, large groups of noisy golfers, lots of families/highseats, etc. 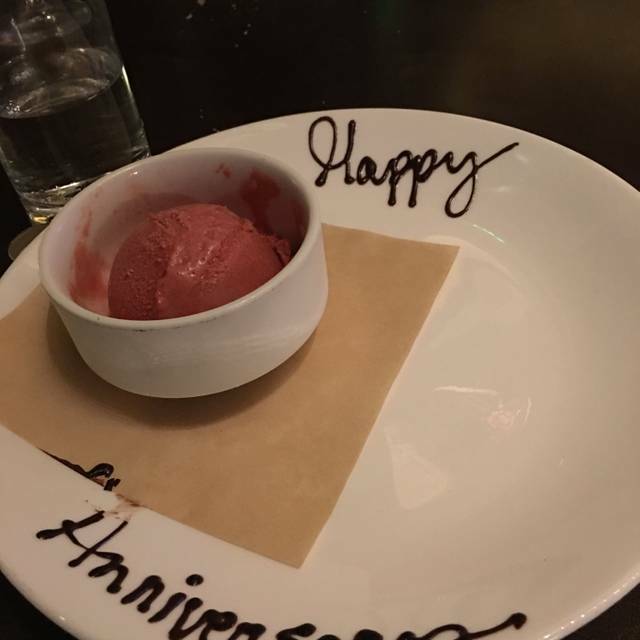 It was not good for a group of adults/couples looking for a nice meal at a steak place. The prices were in line with the higher end steak places around, and the food was fine, nothing stellar but nothing to write home about, but the service was lacking. We had to repeatedly request things a second time, water went un-refilled, and there was no check-in from the waiter after we had received our food. The space itself was the wide open room that opens right in to the hallway that connects to the golf club house, so be prepared, this is very different experience than the more intimate confines of other steakhouses that you might be thinking you will get. Visiting from Omaha NE for Spring Break. Loved it. 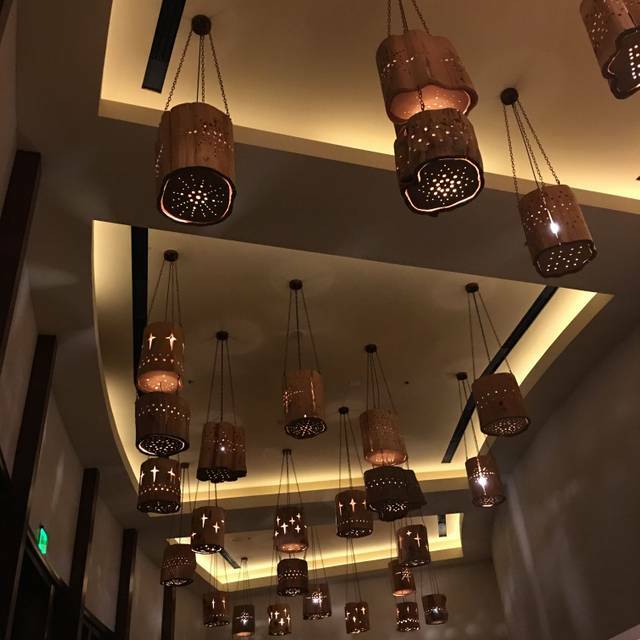 What a relaxing, beautiful restaurant! Luis was a fantastic waiter. Our food was delicious. We all enjoyed our dinner from the seventy-year-old to the fourteen-year-old at our table. The filet was amazing!!! Great wine and loved the Brussels sprouts!!! Absolutely fantastic steaks, and very kid friendly. One staff member was particularly attentive and nice to my 8 yr old. The food was excellent and service was outstanding. We ordered 2 asparagus plate and wish they would has mention that spilting one order was a better idea. We also had a table for 2 and with all the individual plate, it was crowded. But one of the best steaks I’ve ever eaten. Food was delicious. I ordered the filet and my husband ordered the lobster. We had roasted mushrooms and a baked potato for our sides. Everything was cooked perfectly and our server was attentive and helpful. Will definitely be back. The service was terrible. We had to wait 20 minutes for our table as it just sat there dirty. I had to tell someone to get it cleaned as we already lost 20 minutes of the brunch time. It ends at 2:00. Our reservation was for 12:30 and we were not sat until after 12:50. Additionally, the server was atrocious. Forgot our drinks, omelet orders and left dirty plates and empty glasses all over the table. When I pay $381 for brunch I better get good service. Moreover, I called ahead to let them know it was a birthday celebration and could they please do something for her. I was told that they would. When making the reservation through Open Table I also said it was for a birthday celebration. Furthermore, I believe there should be some sort of dress code. Everyone use to dress nice. There were people in sweatshrts, t-shirts, and flip flops. We have gone to brunch at 18 Oaks more than 100 times. It has been almost 6 months since we have been back due to lots of travel and football season. Things have really gone down hill for this restaurant. The food was good however 1) parking was too far away 2) we walked in and the first person to see us (even before we checked in) asked if we wanted to pay the bill. After suggesting that this employee had the wrong family, she finally agreed 3) We checked in with one person and were told to wait for our table, we waited about 20 min and I asked a different person and was told our table had been ready the entire time 4) we needed to ask our server multiple times for coffee, drinks, etc. They were busy to be sure but not unusually so. I hope this was just an off day for them. Good meal and evening. Josh the server was great. Angela was phenomenal. Made my birthday brunch unforgettable! All was well delivery. Thanks. 18 Oaks never disappoints! The food is always exceptional. The service and ambvience is bar none! The golf history in the restaurant is definitely a plus. Along with the surroundings of the golf course. It is definitely a romantic atmosphere for a couple. I always enjoy spending time at 18 Oaks! Great service and our early dinner of salads and appetizers was just right after a long drive to San Antonio. Excellent crabcake appetizer. Great meal and service. Look forward to going back. Server, Josh, was fantastic! He had great recommendations, crab cakes were the best thing from the meal for me, delicious! He gave us excellent service and kept on top of things and was friendly. Steak was good, but not great, that is why I’m giving it a 4. I have had better for sure. It felt as my steak was more broiled so n wit didn’t have much of the “seared/charred/Crispín Ess.” On top. Overall service was excellent however, we made a 6:30pm reservation and we were not seated until 6:45pm with others seated before us that came in after us, and plenty of open tables available. The experience at this restaurant is head and shoulders above the rest. It is personalized from begining to end, from the door greeter to the bartender and wait staff. We love 18 Oaks and go several times a year for special events such as anniversary and Valentine’s Day and birthdays. 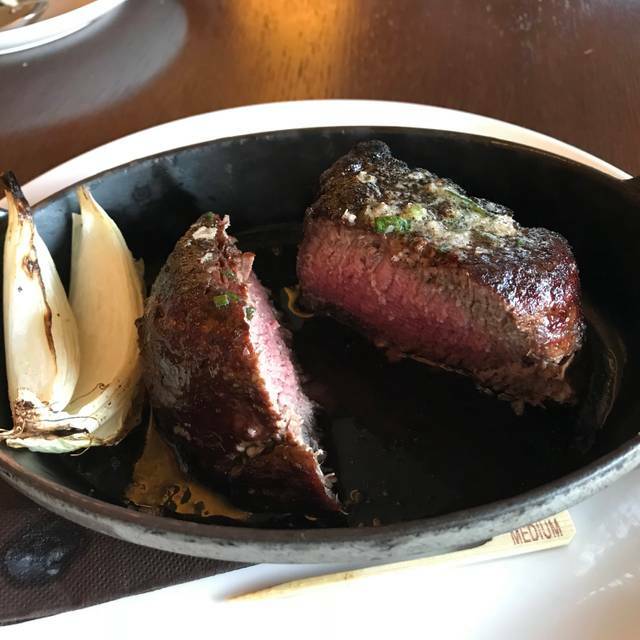 We have visited a couple of other high-end steak houses in recent months and we just keep coming back to 18 Oaks as our favorite steakhouse. The bread with the pickles and beef jerky is a great way to start the dinner followed by amazing salads and the steaks we had this last time or some of the best we’ve ever had. They were perfectly cooked and delicious. The cream corn is one of our favorite sides although all of their sides are fantastic. A sweet treat for us is the cocktails and the fact that the bartender is excellent at creating surprise drinks based on what we tell him we like. We love handcrafted cocktails and 18 oaks always delivers whether it be a cocktail on the menu or something we ask the bartender to surprise us with. Our meal ended with dessert and coffee which was a perfect ending. Our servers were excellent and always give excellent suggestions. We really love this restaurant and will continue to come back.